Seen on Reddit, the wall art above is literally a labor of love. 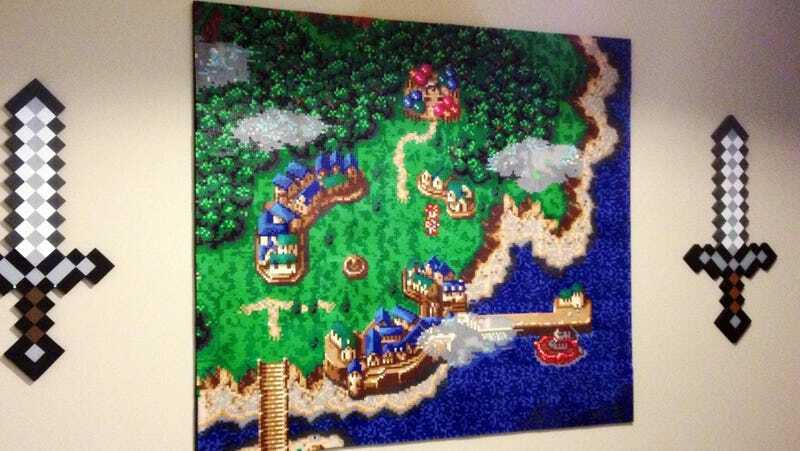 Not only does it commemorate one man's devotion to classic RPG Chrono Trigger, it's also the product of one couple's combined work over two years. Amazing stuff.